Letter writing can be a tedious, time consuming and frustrating challenge that can prove to be ultimately unsuccessful if not carried out properly. On this website you will learn how to write a letter and adapt it to the large variety of formats, all of which require their own unique style in order to be executed successfully. Formal letters – are written to express an opinion or to lodge an official complaint if you have been the victim of bad customer service or have received faulty products. Personal letters – are used to convey feelings and emotions, express grievance, to give thanks or any other matter of a personal nature. Copywriting – is the art of using words to promote a person, business, opinion, product or idea. Well put together copywriting will by it’s very nature persuade the reader. 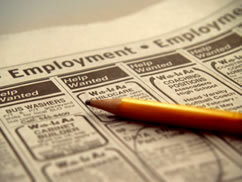 CV writing – Putting together a professional CV that will make you stand out from other candidates is a challenging task. Our guide will help you produce quality content and a clear design..
Cover letters – A well put together cover letter can give you an edge over other candidates by portraying your level of enthusiasm and personal attributes that would make you ideal for a role. Find some more detailed information on letter writing techniques with some general conventions which provide guidelines for producing quality. In addition there are some guides to the use of good spelling and grammar in English. What does does this website have to offer? 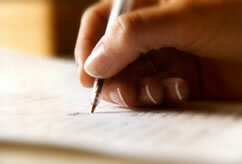 Our service takes the hassle completely away from you as we will write your letter from scratch. Our templates enable you to easily slot the content directly into a pre-formated letter if you would prefer to have more input. Finally our free guides, templates and tools enable you to get some valuable pointers if you want to completely go it alone. So whatever your needs, we have a solution that is right for you. If you have any questions about this website or anything else please feel free to contact us. © 2017 Good Letter Writing. All Rights Reserved.